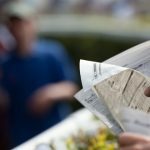 If you have been playing the races this year and are not happy with the results you’ve been getting recently, then it is always a smart idea to take a step back and analyze the situation. What are you doing right, and more importantly, what exactly are you doing wrong? 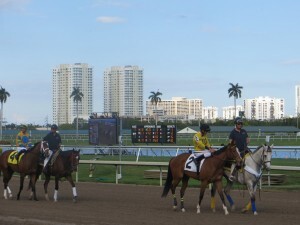 My father used to remind me that horse racing will teach a person to lose better than any other sport or recreation. Truer words have never been said about this game, because horse racing will often be a real roller-coaster ride. 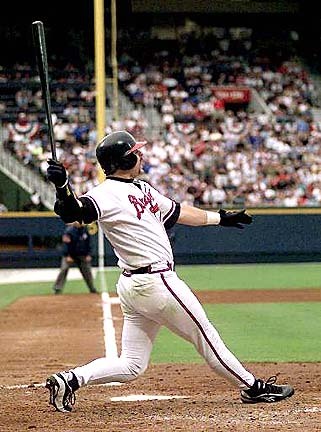 Successful players are able to ride out the bad times in order to reach the “high” moments. 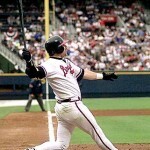 Successful players also recognize their faults and consequently make fewer mistakes than their competition. This is a pari-mutuel game, so I am your competition. 1) You are picking a decent percentage of winners, but your wagering strategies are causing you to lose money. [See reason number five]. 2) You are betting every single race, instead of looking for prime spot plays. This is the cardinal sin of most bettors. Focus on your best wagers of the day. 3) You are employing the same information to handicap that the general public is using. If you are not relying of your own personal notes or a site like Brisnet.com that provides value-added racing information, then you are wagering at a significant disadvantage versus the more sophisticated players. 4) You are easily swayed by other people’s input, and therefore, lack conviction in your own selections. This is a game of opinion. Wager on your own. 5) You concentrate most of your wagers on low percentage bets. For example, you may be going after too many exotic wagers, such as trifectas and Pick-3’s, that can be both difficult to hit and are based on high takeouts (the amount withheld by the track). 6) You look for the quick fix, such as the hot tip from an insider, or the magic formula designed to pick 78-percent winners. No such formula exists, and insider information cannot be relied on over a long-term basis. 7) You blame the outcome on an imaginary “fixed” race, instead of looking at the reasons which pointed to the true winner. I highly recommend that you look back over the races you handicapped and dissect the past performances to see why you may have missed the winner(s). All too often, you simply missed an important clue. 8) You fail to notice the bias at the track, resulting in wasted money on horses that have the odds stacked against them. Put the percentages in your favor by wagering on horses that fit the profile of the track or the current bias. 9) You are betting scared money, having no bankroll set aside for horse race betting. You should always have dedicated funds for wagering. 10) You have no plan or strategy for wagering. You often get in line without knowing your bets, or you jump on your online wagering site with just a few minutes to post and rush your wagers. It is safe to say that most handicappers have committed the mistakes listed above. Of course, the difference lies in who continues to make the same mistakes and who does not. If you feel as though your selections are good, then consider your wagering strategy. Are you swinging for the fences every time, looking to crush the trifecta, meanwhile missing the opportunity for the exacta? Consider knocking your bets down, keying on the Daily Double instead of the Pick-3 or the exacta instead of the trifecta. The inevitable result is that you will cash more tickets and restore your confidence. Check the scenarios above which apply to you, then consider the steps you need to take to fix the problems. Doing so, you will place yourself well above the general public, which, we should always remember, is your competition for the wagering dollar. When you minimize the number of mistakes made, your confidence will soar because you will be winning more often. And that is the reason we handicap the horses. – Rich Nilsen is an 8-time qualifier to the National Handicapping Championship and the only player to finish in the top 10 twice. 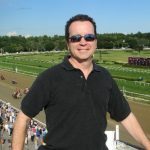 A former executive with Brisnet.com, Rich is now founder of AllStarPress.com, an e-book publishing firm, and AGameofSkill.com, a site devoted to horse racing education and promotion.